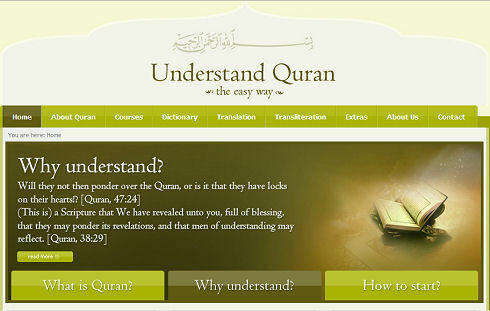 Courses on understanding the Quran, Qur’anic dictionaries, Quran translations and transliteration guides are available for download. Check out their videos, PowerPoint presentations and textbooks. Nice, eh? Touched by An Angel – Tafseer of Juz Amma – the audio of the first double-weekend – ACCREDITED – seminar given by AlMaghrib Institute solely dedicated to the explanation of Part 30 of the Qur’an. Download the Study Guide & Personal Notebook Exam – I really love it as an accompaniment to the CD-set.